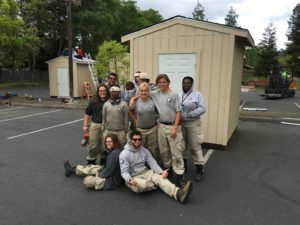 “I wanted to spend a year doing service.” Bree Dion is team leader for the AmeriCorps crew currently stationed at our home base in Middletown, California. The team is made up of 11 18-24 year olds who have all decided they wanted to give back to communities affected by natural disasters. 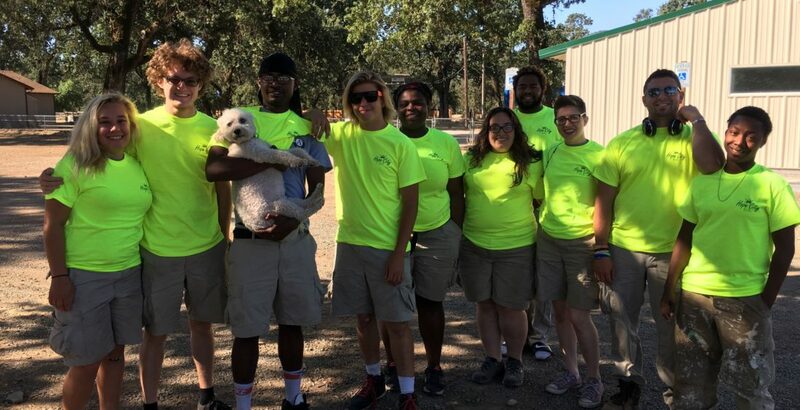 This team is a part of AmeriCorps’ National Civilian Community Corps, or NCCC. The program consists of three rounds spent around the country in various capacities. Bree’s team is in the third and final round. Previously, they were in Texas, where they helped demolish homes destroyed in a hurricane. Going from one extreme of a disaster to the other was a learning experience in and of itself. The team has a wide range of backgrounds and as such, it’s not always been easy to understand each other. As a leader, Bree has had to learn to reach people where they are, to understand what their needs are and how to meet them. They’ve had a year to grow with each other and effectively communicate their needs, and it’s made them stronger as individuals. We look forward to hearing what all they accomplish as they leave us for their next adventures.